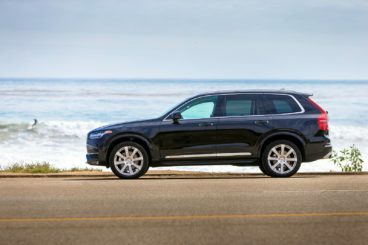 The new seven-seater Volvo XC90 Estate is now into its second generation, with the Swedish brand refining everything that made it such a winner last time around. It’s super safe, hugely spacious and looks great. Buyers will also appreciate how it mixes the practical with the luxury, though the latter means that the listing price starts out just shy of £50,000. Running costs will also be quite high if you pick the powerful petrol engine, and although there is the option of a hybrid it’s not as cheap on the road as Volvo claim. OSV takes a closer look at what it’s all about with our 2018 Volvo XC90 Estate review. The XC90 is a large, hefty car, but it never feels like a fully fledged off-roader and instead drives like a road-based Estate. There’s plenty of grip available and the ride is nice and comfortable for the most part. Body lean will be noticeable if you take on bends with too much enthusiasm, while the steering will feel overly light on twisting roads. In urban settings, however, it’s just fine. That said, the Volvo will lack appeal to enthusiasts who want an engaging driving experience. In terms of its engines, the D5 diesel will be the most popular. It develops as much as 232bhp and performs reasonably well. It’s also smooth, affordable to run and is our top pick. There actually isn’t a lot to choose from with the sole petrol engine being a T6 model that produces 316bhp. That gives it a lot more welly than the diesel, something which a lot of buyers will appreciate. However, it’s significantly more expensive to buy outright and it costs more to run. Worse than that, however, is the noise it makes. Its four cylinders whine when you accelerate too hard, which can eventually put you off putting your foot down. However, there’s no denying its powerful turn of pace and it can do 0-62 in just 6.5 seconds. Overall, it’s hard to recommend, though. If you want to improve either the diesel or the petrol’s performance, you can add a Polestar package for £830. Rounding off the range is the T8 plug-in hybrid that combines an 87bhp electric motor with a 320bhp petrol engine. On paper, it looks like an awesome engine, and on the road it’s pretty impressive, too. It races from a standstill to 62mph in 5.6 seconds, emits little CO2, and while it will rarely match the fuel economy claimed by Volvo, it’s still what we’d call affordable to run. It’s much quieter than the petrol too. All models, meanwhile, come with four-wheel-drive. There’s not a lot of fault about the way the car looks or feels inside. Volvo has put the focus on comfort and relaxation and has largely succeeded in their mission. Sound insulation is excellent, with only the merest hints of wind noise being heard by the mirrors, and while its overall cabin quality can’t match one of the German exec’s, it comes mighty close. The dashboard gets a portrait-esque infotainment screen that will take a bit of time getting used to. Wherever you choose to buy from, the sales-person should take some time to walk you through the whole thing. Once you’re up to speed, it’s fantastically intuitive. It’s also easy to stain with fingerprints, so be careful! The dashboard is clean and tidy, with Volvo reducing controls to just eight buttons. There are one or two extra buttons on the steering wheel which are used to control the display screen. And while there’s not much bling, there’s plenty of style. And if you do want a bit more bling, the T8 model comes with a crystal glass level. Very swanky. This is a seven-seater so practicality is a given. As a bonus, adults can fit into the third row of seats, though only just. There’s plenty of room for all, and few cars in this sector can beat the Volvo XC90 Estate for interior space. We think buyers will appreciate the theatre-style arrangement of the seats, which means the rows of seats are higher than those in front. However, the second row of seats doesn’t come with a flat floor, which is a minor criticism. The boot, meanwhile, measures an impressive 451-litres with all seven seats in place. That doesn’t change if you go for the hybrid model, and if you fold down the second and third rows, you can extend that to 1,951-litres. There are three trim levels available and all three are available with all three engines. They also get seven seats each, while standard kit for each model includes LED headlights, sat-nav, a digital radio, auto-dimming mirrors, a power-adjustable driver’s seat, keyless entry, a hands-free boot opening and an advanced air-filtration system. The R-Design injects a bit more flair and personality into the car, and gets a front spoiler, a differently designed front grille, R-Design alloys, silver matt mirror covers and silver roof rails. In terms of how safe it is, there’s nothing at all to worry about. 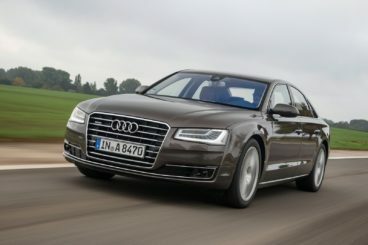 The car was not only awarded all five stars when crash tested by Euro NCAP, but it’s also stuffed with safety features. These include cameras that look out for pedestrians and cyclists, automatic braking, a system that warns you of impending slippery roads, and the latest version of the brands Pilot Assist II system that comes complete with the lane-departure warning and cruise control. Prices for the new car start out from £49,905 and rise to £61,655. If you prefer to lease, you can pick up a deal from £395 + VAT per month. For more information on our leasing deals, check out our page here. In terms of its running costs, four-wheel drive is standard across the range, which contributes to fairly high mpg figures. The 2.0-litre D5 diesel model is the most frugal, returning 45.6mpg while emitting 163g/km of CO2. The petrol engines are faster and arguably more fun, but they cost more in every department – price, tax and economy. The T6 model returns just under 40mpg at best and emits 184g/km, for example. Volvo claims their plug-in hybrid engine can return as much as 134.5mpg, but we reckon that’s a wildly optimistic figure. However, it emits just 49g/km of CO2. That said, it still costs £440 a year to tax, which is only a tenner less than the petrols and diesels. The extraordinary levels of refinement are what make this a luxury car. There is some seriously eye-catching stuff inside here, from the 12.3” infotainment screen to rear-wheel steering (optional). The Panamera has always been a good car, but now it’s a truly upmarket one with luxurious ride quality and a want-for-nothing attitude. It’s far from the quietest petrol model we’ve ever driven. No model returns anywhere near 50mpg except the plug-in hybrid, but its claimed economy is optimistic. 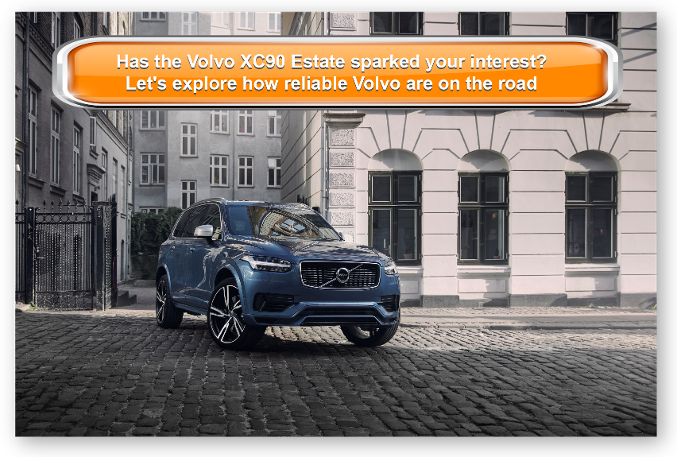 Let’s see how the car fares against its rivals in the comparison section of our 2017 Volvo XC90 Estate review. 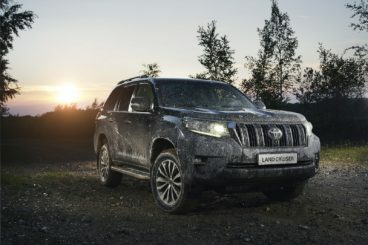 The new Toyota Land Cruiser SW is a meaty-looking large family car that has an affordable starting price and which boasts better off-road ability than the Volvo. Indeed, its off-road prowess is part of what makes the Toyota so appealing. On smooth tarmac, it will feel a bit unwieldy and you’re always aware of its weight. But take it off-road and it’s got your back. As far as off-roaders go, this is seriously good. Body lean is an issue through bends and the vague steering will be an issue in the towns and cities, but electronically controlled suspension can help to reduce a few flaws. In terms of its engines, there’s just the one available. It’s a four-pot 2.8-litre diesel engine that’s brand new. It develops 174bhp and as much as 450Nm of torque if you pair it up with the auto ‘box. 0-62 is covered in 12.1 seconds, but the engine never feels as urgent as the V6 unit it’s replaced. It’s quite a course unit too, and lacks the smoothness of the Volvo. That said, the new engine is more economical than the one it’s replaced, and according to Toyota can return as much as 38.1pg. We think those figures are a tad optimistic, and you’ll likely be averaging 25mpg. That’s not the most attractive figure, but this is a big car. Inside, build quality is excellent. Even off-road, there’ll be few if any rattles and vibrations. However, this is just part of the story as comfort will be compromised from time to time. The Adaptive Variable Suspension system helps to shore things up if you select Comfort mode, but in Dynamic setting the car will jerk and fidget. The dash manages to look upmarket if a bit dated, while the top-spec models get the likes of wood trim and plus leather. Beige leather is available as an option, but we’d recommend that you avoid it. Unlike the Volvo, the Toyota is a five-seater model to start out with. An additional third row of seats are optional, and adding them will compromise space. It’s not as roomy as the Volvo, but there’s still plenty of storage spaces for your bits and bobs. Buyers also get to choose between a three or a five-door model, but the three-door model is the entry-level model and does without leather seats. The boot, meanwhile, measures 620-litres with five seats up and 1,943-litres when all seats are folded. The new Porsche Cayenne offers the kind of tarmac-melting performance which the Volvo can’t, as well as deft handling and the added bonus of excellent family friendliness. If you can afford it, it’s hard to overlook the Porsche here. The Cayenne has always been a fun and engaging large family car to drive, but the engineers have made it feel more like a sports saloon than ever. It’s at home on or off the road, the brakes are strong and it holds the road like a boat holds the water. There are lots of engines to choose from, starting out with a turbocharged 3.0-litre petrol engine that develops 335bhp. The Cayenne S model uses a smaller-sized engine, but thanks to a turbocharger it delivers a crushing 434bhp. Then there’s the small matter of the beastly Cayenne Turbo that gets two more cylinders and 542bhp. Add to that an active four-wheel-drive system and an 8-speed auto transmission and it’s an absolute monster. Diesel options are on the way but no details have yet been released. As such, you’ll have to make do with the petrol’s running costs, which are one of the car’s weaknesses. The 3.0-litre petrol engine is the entry-level model and it returns 31.4mpg at best. The Cayenne S is slightly more expensive to run, while the Turbo is pegged at 24.1mpg. Inside, sound insulation is very good for such a large car with such big tyres. Ride quality is also excellent, owing to the air suspension. The dashboard, meanwhile, has Porsche all over it and looks similar to the Panamera. The driver’s seat is unusually low for a car like this, and material and build quality is good. Is the Porsche Cayenne practical? The brand has made sure to make it more family friendly this time around. There’s lots of interior space, the sports seats can be power-adjusted in 18 different ways if you go for the Turbo model, and the rear bench slides back and forth for more legroom. However, this is strictly a five-seater and the boot measures 741-litres with all five seats up. If you fancy a luxury large car that’s a bit different to the standard German fare, this Volvo is a solid choice. It’s packed with advanced safety kit and feels and looks like a genuinely premium product. Stylish and performative, the Volvo XC90 Estate isn’t one to be overlooked. ARE YOU INTERESTED IN GETTING A 4x4?